Shaving… one of the most grueling tasks any day! 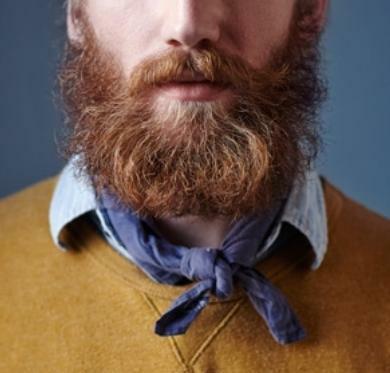 Guys & Gals, both will agree that shaving or more broadly grooming is an actual job! It takes up substantial amount of our time (depending on how often you shave) and it affects us significantly. It’s time consuming, exhausting & costly! 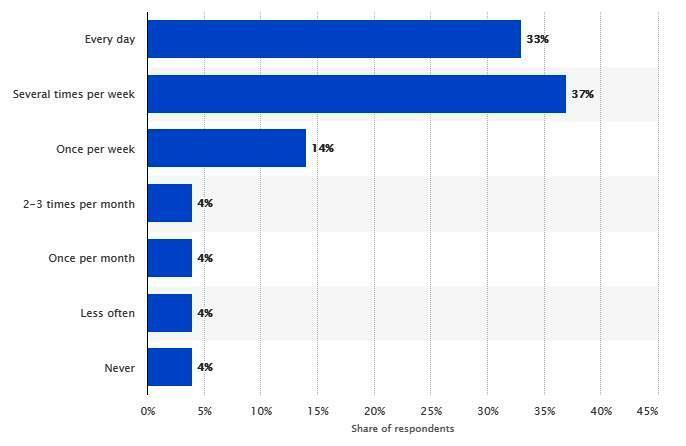 Almost 70 percent of survey respondents claim to shave daily to several times within a week. How often do you shave? As for those with sensitive skin, it just gets worse. Those of us with sensitive skin need to be careful in picking the right equipment so that we are left feeling great. There are many things which are easy to find and then, there are things like finding the best safety razor for sensitive skin. It’s a tough ask! Whether it’s good for you or not, you are most likely to only find out after you start using it on your skin. Well, I have taken it up as my responsibility to share with all those who feel my difficulties with sensitive skin reactions due to shaving. Razor cuts & burns are way too basic; I’m talking about skin rashes, reddened skin, bumps, hair that is in-grown, side grown, upside down and all of it! There are just too many things that can go wrong without the right razor for your sensitive skin. So, here are my reviews of the best safety razors for sensitive skin. They are all very good, keep reading to find out my pick and choose the one that is best for you! Since 1896, Merkur Stahlwaren GmbH & Co. has been a leading worldwide manufacturer of top class shaving equipment. They are manufactured in Solingen, Germany and produced using German standards set very high for technology and environment. The brand has built its place in the industry with exceptional quality. MERKUR has the right offer for every type of shape, body and skin. The “Futur” adjustable double Safety Razor gives you the flexibility to find the setting (choice of 6 different levels) best for the closest & most comfortable shave. The chrome plated handle is fairly long which is good for those with a wider grip and also for those who have a smaller grip leaving plenty of extra handle for maneuvering with ease. The ergonomic design of the Merkur Futur Safety Razor is well-suited for your sensitive skin. The double edge blade with its durability and lightweight allows you to use it confidently without looking at a mirror. Your skin will feel soft, smooth and shiny leaving no sign of bumps, cuts or burns. The durable chrome plated finish ensures that leaving it in your bathroom sink doesn’t rust. Also, as a first timer, it is perfectly suited for beginners. It is safe to be used on skin all over your body such as your face, neck, hands, chest, legs, and all other parts. I feel the long handle featured in this razor can be an issue for some users. But most regular safety razor users will find it okay as the 4 inch handle is standard for both men & women. The double edge design delivers a smooth, clean & close shave. The Futur adjustable feature is amazing allowing you to adjust the blade gap to your preference. Some people like to press the razor aggressively against their skin, while other like to keep it as far as possible. So, the 6 levels of different settings give you the best chance to get your required shave. This is perfect for those with sensitive skin, because ultimately you can control the closeness of your shave according to your skin. The sensitive skin on one body part may be different for another body part. So, it is just perfect to pick your own preferred setting. 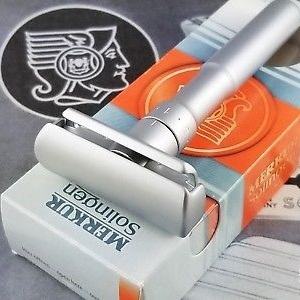 The Merkur Futur Adjustable Double Safety Razor for sensitive skin is great! But if the razor weighed a bit more, it wouldn’t feel so uncomfortably lightweight. The blades are evenly balanced so it is comfortable to grip & maneuver. 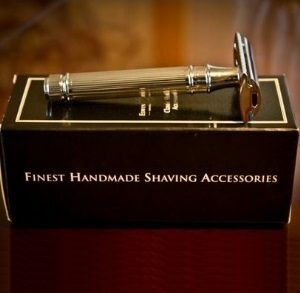 The FEATHER All Stainless Double Edge Razor is a stereotype top quality, luxury product. It is the ultimate merge of traditional wet shaving with modern technology for better control. Every stroke of this safety razor on sensitive skin will leave your skin feeling soft & smooth. Feather All Stainless Steel is anything but a fragile make. The blades can prove their superiority over most other competitors. The handle is perfectly sized at 3.5 inches long and better grip is provided with grooves. This makes is anti-slip & stable for long term use. The razor has corner notches for better aligning the blade for the perfect angle. Also, the adjustable tightening setting for the blades gives you the control for the closeness of your shave. The corner notches help in easily removing hair clogs from the blade. The shaving technology used by Feather makes it effective for sensitive skin or otherwise aggressive shavers. The affordable replacement cartridge design is easy to do and cost effective. What you spend in purchasing, you will save in the costs of replacement blades. It gives a simple way to remove & replace cartridge without any hassles. I think the FEATHER Stainless Steel Double Edge Safety Razor serves its reputation right by providing an effective hair removal system considering skin sensitivity issues. The price is higher than others but is cost effective with its inclusion of replacement blades and the low cost of additional replacement blades. I think the safety razor is very comfortable for its weight. It provides the right balance for an accurate every time. It is an ideal fit for both beginners & experts of wet shaving with a safety razor. So don’t stress about your sensitive skin when shaving with the feather safety razor! Your sensitive skin will not be irritated with redness, soreness, blisters, cuts or burns with every comfortable stroke of this Stainless Steel Double Edge Safety Razor. The Feather All Stainless Steel AS-D2’s handle is just 3.5 inches! While this is a comfortable size for me, it may be shorter than the comfortable size of 4 inches. So, for those with a wider grip or larger hands, this will be a problem. An issue of concern for those men & women with larger hands! The Edwin Jagger Double Safety Razor is an exceptional product by an internationally renowned supplier of Sheffield, England. 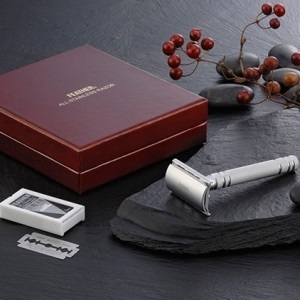 For many years, Edwin Jagger has excelled for authentic, classy shaving equipment. The packaging expresses the class maintained by the manufacturer. The unique design has a chrome handle with a patterned lining for proper grip. The name is classily embossed on the chrome plating “Edwin Jagger”, a true guarantee of its authenticity. The razor comes with free pack of 5 blades while the replacement blades are low cost saving you more money for the longer you use the product. 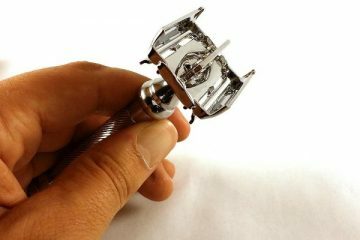 It is an absolutely fabulous razor which comes in a hand polish, chrome plating, precision engineered, and chrome coating for smooth shave on sensitive skin. It is rough on hair while being gentle on your skin. It offers perfect shave for normal to all sensitive skin conditions. It is still reputed as a classic closed comb razor head with triple plated handle. The hard chrome plated polish is scratch resistant and is capped with chrome coating on its end cap detailing. It is a product which is admired by both beginners & experts for a very close & comfortable shave. You can register with Edwin Jagger online to get its world renowned customer support & service. I am actually impressed with the design of the Edwin Jagger Double Safety Razor. Its detailed polishing, plating, scratch resisting finishing and overall design is very attractive and practical. The finish, polish, plating makes it scratch-resistant and longer lasting. The coating also helps in partnering the double-edge blades for better performance. The curving blade is perfect for easy, daily, effortless shave. The flexibility to tighten or loosen the blade allows freedom to choose your preference based on comfort. The blades are ideal for close shave eliminating the concern with in-grown hairs. There are 5 different types of blades already included with it. The Edwin Jagger gifts an overall better shaving experience. The rust resisting handle allows it to be more durable and the patterns are visible for longer as well. No hassle of a slip, nick, or irritation of the skin for comfortable & safe shave. The Edwin Jagger has a nice and very short handle at just over 3.3 inches. The short handle may pose a problem for larger hands but they do offer smoother performance. The replacement razors easily rust. They are also very sensitive to scratches and nicks and also fade after a short while. 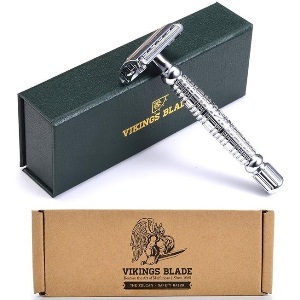 The VIKINGS Vulcan Safety Swedish Platinum razor is nothing less than its name. It is of massive Viking size more than the traditional 3.5 or 4 inches. It is a humongous 4.625 inches in length. This slight increase in a few inches gives you a sense of a Viking weapon at your disposal. It is the brand new release of 2018 by Vikings Blade succeeding its popular Chieftain. The advanced Vulcan razor head uses a cut minimizing design which also allows a quick 5 second blade change. The manufacturer also made an effort in reducing plastic waste with its ecofriendly material as its environmental responsibility. It is accompanied with a free pack of Swedish steel mild blades and is covered with International Lifetime Protection against any manufacturer defects. Safety razors are already the best for sensitive skin but Viking is much more with its sharpness, durability and portability. It comes in a shaving kit with a mirror. Also, there are instructions for beginners to inform you of all the tricks for a more controlled and satisfying shaving experience, all in a fancy suede case. The blade and handle are all made to be heavyweight and durable. The handle and the head are chrome-plated with brass and bronze. The weight added on by the plating gives the razor the momentum making your strokes easier on your skin. It helps you to easily shave under the nose, under ears, and your neck without any slips. You can also experience satisfactory results without a shaving gel, oil, or cream. Razor burns will not be an issue with this product. So your sensitive skin will not be hurt. The blades are platinum and are eco-friendly. Each blade will last for up to 5-7 shaves. There are 5 replacements included for free. Even after the blades have been used for over 5 times, they retain their sharpness and anti-rust abilities. It is however, best not use it more than 7 shaves. This ensures a very long lasting ability for the razor as well. The appealing design and performance of the razor is satisfying. But it is not the best razor if you are looking for the closest shave. This drawback makes it better for beginners who would be reluctant on a close shave in the beginning. But as you gain more expertise in using a safety razor, you will opt for something else for a much closer shave. 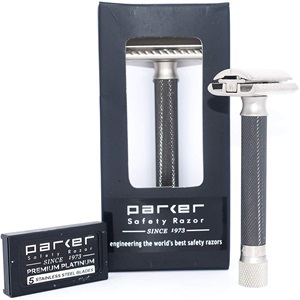 Parker Safety Razors have been producing the finest grooming accessories for over 40 years. It has specialized in the finest shaving gear for men and has led by example for its innovative design and standards of manufacture. Parker has a strong history of producing the best and ensuring the satisfaction of their customers through committed customer care products and services. It is unique in its design and the weight of the unit from others in its league. A bit on the heavy side, it requires less pressure to be applied while shaving. The knurled handle design is anti-slipping. The effortless and quick shave on offer by Parker Safety Razor is best for sensitive to normal skin. It is very common to get small cuts, or nicks when starting to use a new razor. But that is one thing which cannot happen with this razor. The Butterfly open design makes shaving safe, smooth & clean. The handle has a brass frame for support without any risk of corrosion or damage. The pattern allows for a better grip and you get 5 bonus blades for the price of one premium blade. The twist-to-open butterfly design is simple to unclog hair, replace blades and durable in nature. I like the Butterfly open design which gives an angle of the blade almost as if it’s tailored for my skin and its safety. The angle is also easily adjustable with a knob on the bottom. So, you can suit the angle to your skin. It is the perfect choice for everyone pursuing a safety razor. You can control the aggressiveness of the shave and the blade exposure. The blade replacement is as simple as twist and turn and operates with all Standard Double Edge Razor Blades. The fairly long 4 inch razor handle is comfortable to maneuver and operate without harming your sensitive skin or ingrown hair issues. The handle is slip, rust & corrosion resistant making it ideal for longer use in a single shave or for long term use. The Parker razor is easily the sharpest safety razor around. While it is a good one for sensitive skin, the slightest of unusual pressure may result in a cut or nip. So for new users, this may not be the ideal choice as the best use of safety razor for sensitive skin will take a while to master. As someone who was clueless in the art of using a safety razor, I understand how difficult it may seem. But more than the actual difficulty of buying a safety razor or using it, the difficulty is in handling the mental pressure of adapting to something new. You have been shaving the way you do, however you do for a very long time, and it is natural to be nervous of a new method with a new tool. 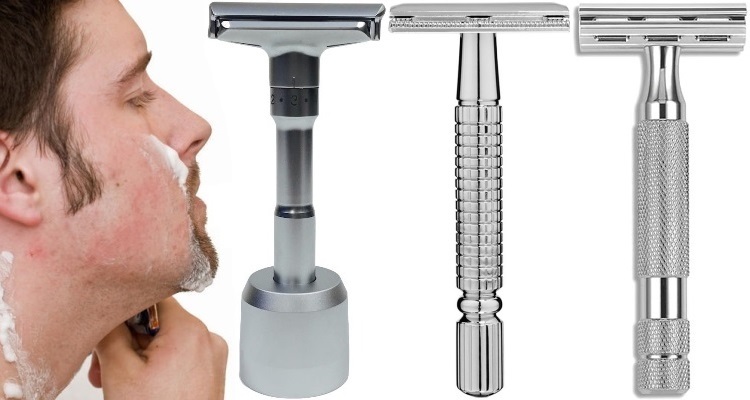 I have come up with suggestions of some of the basic things to remember when shopping for a safety razor for those of us with sensitive skin. Ignore good looks or fancy designs by unknown brands. Shop from reputed manufacturers made in places like Solingen, Germany; Sheffield, England; and Seki, Japan. Avoid cheaper brands manufactured in India or China. Do not trust “butterfly” safety razors, the wings trap water & easily corrode. Stick to the proven formula of 2-piece or 3-piece designs. There are two types of edges for safety razors. Before choosing one of the two types, it is necessary to know them. The two types are 1) Single Edge Safety Razors & 2) Double Edge Safety Razors. Single Edge Safety Razors have become more uncommon today. Unsurprisingly, these safety razors have one edge to shave with. It is more of a vintage collectible nowadays. Due to the modern day transition to the normal razors, the SE has dropped in demand for product by manufacturers. SE safety razors use a heavier blade compared to double edge safety razor offering much more aggressive and closer shave. So it must be used with caution. As the name suggests, Double Edge Safety Razors use both edge of the blade. You will be able to use both sides for your shave but other than that, there is no real difference. While it is not as sharp as SE, it is much safer since the SE leaves the other side of the blade exposed. Most SE safety razors now use the same blade as DE safety razors, so the most practical choice today is the DE for the best, fastest and cleanest shave. A countless number of products are being introduced in the market every day. It is important to differentiate between brands that just come & go with their products frequently. While it may sound cliché but there are reputed manufacturers who have been here for over decades. I suggest that you go for tried & tested brand names such as the German Solingen, Muehle and others such as Edwin Jagger, Parker etc. These brands have built their reputation by offering quality products and continue to do so. You should not make any compromises when it comes to the safety of your sensitive skin. While it is true that the options are endless depending on the varying budgets among consumers, be ready to shell out a little more than your budget to get the best for your skin. 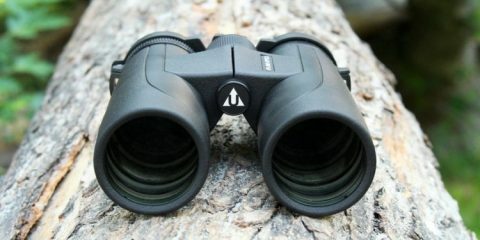 Don’t focus on style & design in the higher prices, rather focus on reputed brands with high quality products. 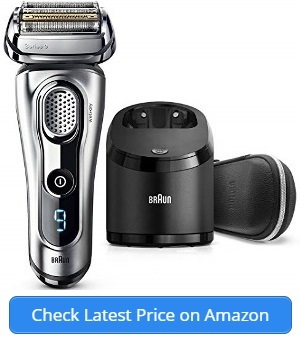 I do not suggest getting the most expensive razor thinking it will be best for you (or even the cheapest one!). Take your time to evaluate your options and pick the most suitable one for your personalized needs. I recommend getting a mid-range safety razor and as you become more & more skilled in using a safety razor, you will know exactly how much to spend on your next one. Considering the fact that the safety razor is a tool that you will be using almost every day or multiples times a week, you need to be most comfortable in using it. So, when looking for a safety razor you need to choose one with an adjustable razor head, the perfect handle size, the perfect weight, etc. You must be in full comfort when holding and operating your safety razor on your sensitive skin. With adjustable razor head, you can control the aggressiveness of your shave. With a perfectly sized handle for your own hands, you will move it more freely while shaving. With the right weight & feel in your hands, you will be able to get a safe shave. What types of materials are used in a safety razor? There are not too many options when it comes to the handle material. The most widely used is the metal which is most popularly available in either chrome or silver color. The metal handles are rough for gripping. There are also metal handles with rubber covering for better grip. Other materials such as wood or animal horns are for enthusiasts for a classy look. These types of materials are best as gifts. How to properly maintain your safety razor? Safety razors are not high maintenance tools. They do not require extensive cleaning or safe keeping. Simply wash after using it and for best results, keep it dry so that rust doesn’t form. Most well-known brands make sturdy safety razors to last you a lifetime. A good safety razor will easy last a long time with no real maintenance issues. How to choose the right blades for your safety razor? It is important to get the right blade in your safety razor. The blade doesn’t affect the performance of the razor but different blades are differently specialized. There are blades which are very sharp, very thick, etc. So, it is crucial to get one which is not too harsh on your sensitive skin. I recommend that you start with a blade which is not too sharp and then upgrade to the more aggressive blades, as you become more of an expert in shaving with a safety razor. The blades will have a direct influence on your skin depending on the frequency of use. Several brands are there to choose from such as Astra, Feather, Derby, BIC and Wilkinson. The best way to find the right blade is to try them out. So, have you made up your mind yet? I’m just kidding! This may be a lot of information that you have just taken in as a first time buyer of a safety razor. So, I hope this has helped you to understand exactly what will help in dealing with your sensitive skin when shaving. Once you start using a safety razor, you will learn to appreciate the special care your skin is getting. Even for those without skin sensitivity issues, shaving can cause our skin to be dry & irritated. I recommend you to go for one of these excellent safety razors which are my pick for the best safety razors for sensitive skin of 2019. Hopefully this review has done justice to the high quality safety razors and soon your skin will thank you for it! So, go for all the different looks you wanted and get rid of unwanted hair without worrying about harming your sensitive skin by using any one of these safety razors. Enjoy a nice clean shave and keep your skin happy too! 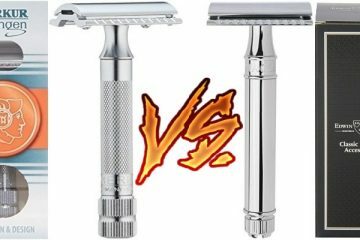 Merkur 34C vs Edwin Jagger DE89: Is Merkur or Edwin Jagger Better?